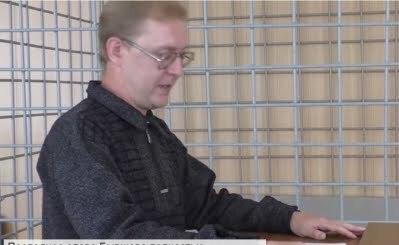 On 14 July 2015 a court in Orel region convicted Aleksandr Byvshev, a teacher of German in a local high school, of ‘inciting enmity’ for writing a poem entitled 'To Ukrainian Patriots' in which he expressed opposition to the Russian annexation of Crimea. Judge Margarita Gridina, sitting in the Kromy district court in Orel region, sentenced Byvshev to six months community service, ordered that his computer be confiscated, and imposed a ban on him working as a teacher for two years. According to reports Byvshev's apartment has been attacked twice in the past month, with windows smashed on 14 June and 12 July. The Moscow Times reported that Byvshev's lawyer, Vladimir Suchkov, said his client plans to appeal against the ruling, and pointed out "that the judge did not even consider the poem that led to the criminal prosecution during the hearings. Instead she heard the testimony of 40 ‘witnesses’, many of whom, it transpired, could not remember a single line of the poem which allegedly offended them. Some of their statements are reported here." The Sova Centre had earlier condemned the prosecution as unlawful. Meanwhile, it was reported that the entry in Wikipedia about the prosecution of Aleksandr Byvshev had been taken down. Extracts from Aleksandr Byvshev's final address to the court can be read here here.